The disputes, which regularly flare up between the current governments of France and Italy are important for Russia, since the ideological rift between President Emmanuel Macron and the ruling Italian coalition of Matteo Salvini and Luigi Di Maio has, among other things, have direct bearing on this country. However, there is more to these disagreements than just different views about the role played by Moscow, which Paris sees as purely negative, and Rome - as causing sympathy and even inspiring hope. 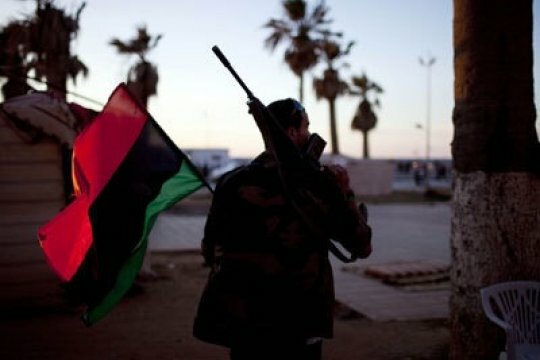 An international conference on Libya, mediated by Italian Prime Minister Giuseppe Conte that was recently held in Palermo, Sicily, was looking for ways to reconcile the rival centers of power and generally stabilize the situation in the long-troubled North African nation. One of these main power centers is the Government of National Accord (GNA) in Tripoli, headed by Faiz Saraj, and the other is the Tobruk-based House of Representatives headed by its Speaker Aguila Saleh, who is supported by the Commander of the Libyan National Army (LNA), Field Marshal Khalifa Haftar.